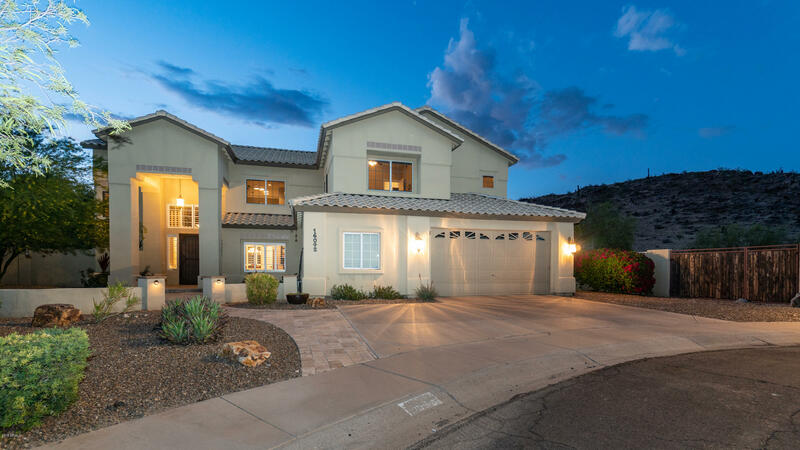 All Canyon Retreat at Mountai homes currently listed for sale in Phoenix as of 04/19/2019 are shown below. You can change the search criteria at any time by pressing the 'Change Search' button below. "Incredible views! 180 degrees of private hillside views in quiet cul-de-sac. Stone Pavers in courtyard lead into a grand entry with soaring coffered ceilings and 18''diagonal tile. Formal living and dining with rich wood floors and clear story windows to take in the view. 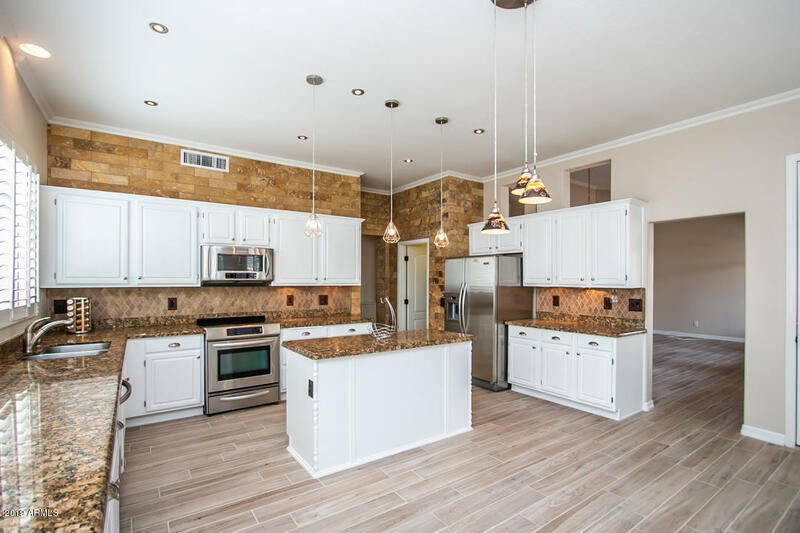 Gourmet Kitchen features Cantera Stone range hood, High End Cabinets, Trash compactor, Stainless appliances, Gas range (propane), Microwave drawer, wine cooler, Bar counter and breakfast nook. Adjacent family room has cozy fir"
"WOW! Stunning remodel job with professionally-refinished bright-white cabinets/trim t/o; brand-new wood-plank tile; brand-new patio cover; and more! Gorgeous single-story 4 bedroom/2 bath home in a popular Mountain Park Ranch location very close to award-winning Kyrene schools and Desert Vista High. Loaded with upgrades including all new flooring throughout; all new interior paint; 3 car garage; granite countertops; stainless steel appliances; split floorplan for privacy; and dramatic pool/spa i"
Desert Hills - 2.5 acres!